pH and Temperature Data Logger with an LCD (Wall mounted power adapter included). 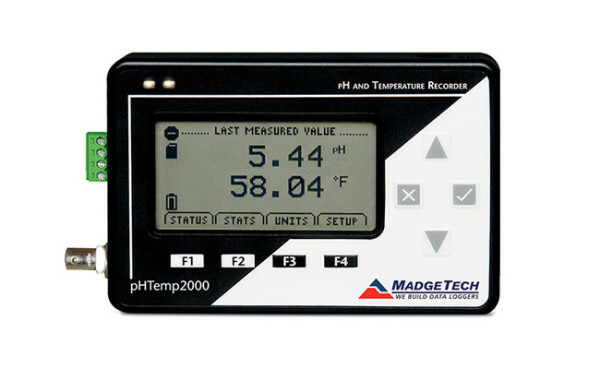 The pHTemp2000 is a battery powered, stand alone pH and temperature data logger with an LCD. This all-in-one compact, portable, easy to use device will measure and record data up to 131,071 readings per channel. The pHTemp2000 will directly connect to many commonly used pH and ORP electrodes through a female BNC connector mounted on its side. Temperature is measured by directly connecting an RTD to the pHTemp2000. Temperature compensation is automatically done internally to the unit.